Kids’ Night Out! 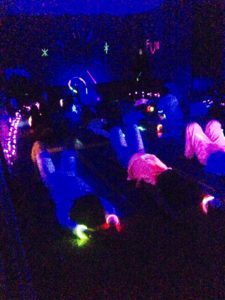 Glow Yoga! Children ages 5+ are invited to our Kids Night Out! Activities include blacklight glow yoga, open gym, pizza and a blacklight glow art making session! Register on our parent portal!